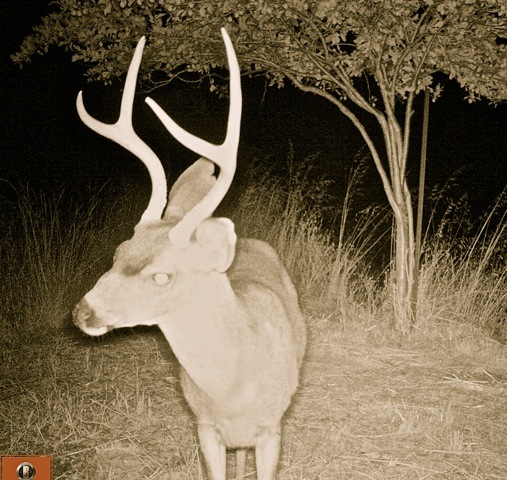 Steve Alden, owner and grower at Perli, sent us these great shots with his commentary. Hog Pen is our section of the vineyard. Nice forked horned buck under plum tree on Fig Tree Road. 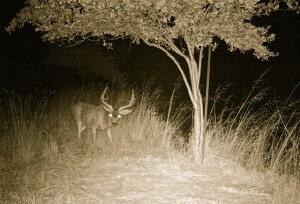 Big buck under plum tree on Fig Tree Road. 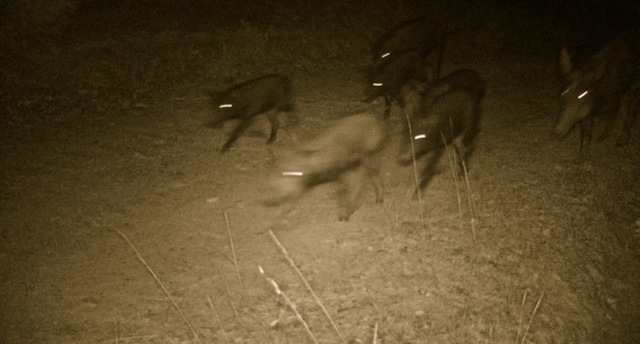 Group of pigs outside the Hog Pen Syrah, on way up road. 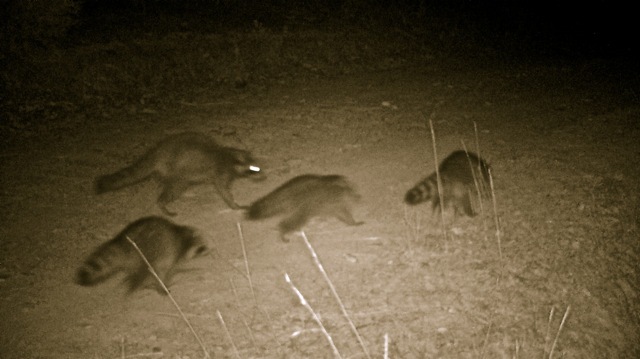 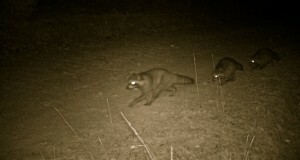 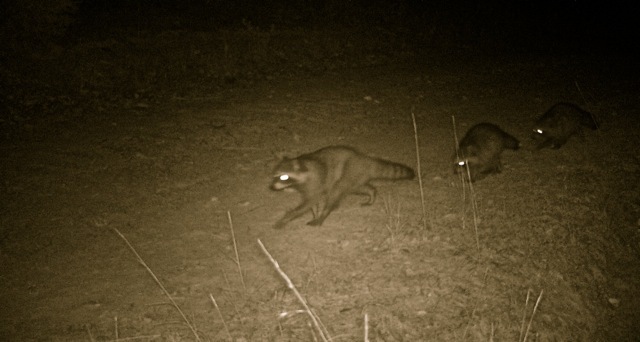 Raccoons coming out of Hog Pen Syrah vineyard with full bellies of D&G Perli Syrah. 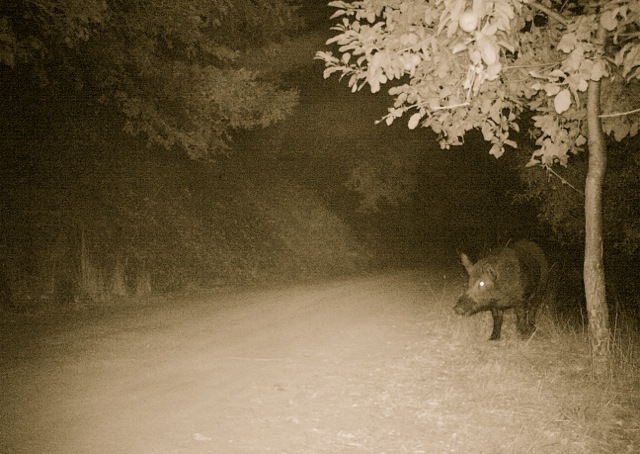 Nice boar looking for apples under apple tree on Fig Tree Road. 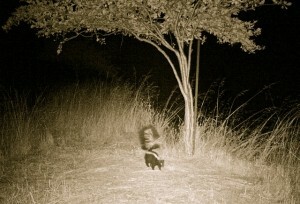 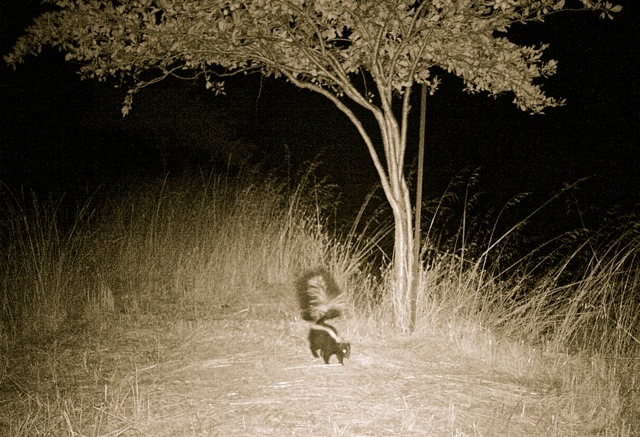 Skunk looking for a plum under plum tree on Fig Tree Road.